Rains Barbera FrNI036 won grand champion female. Caitlin Fairbairn, Coatesville, Pa., owns the April 2005 daughter of TC Freedom 104. She earlier won junior champion. 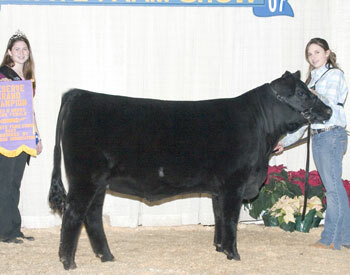 Rains Dream Girl MoonNI722 won intermediate champion heifer. Amanda Thompson, Wellsville, Pa., owns the winning heifer. EXAR Forever Lady 5020 OCC won senior heifer calf champion. 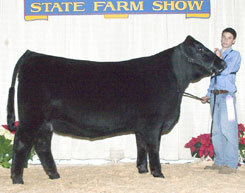 Alexis O Boyle, Newport, Pa., owns the winning heifer. Cedar Hill Scaara Sadie 065 won grand champion bred-and-owned female. Cory Thompson, Wellsville, Pa., owns the February 2005 daughter of Cedar Hill Imp W W J D. She earlier won reserve grand champion and junior champion. Freys KJF Ark Pride K32-R36 won reserve grand champion bred-and-owned female. 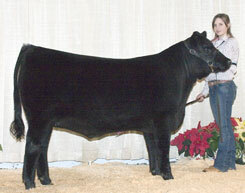 Katrina Joan Frey, Quarryville, Pa., owns the February 2006 daughter of W C C Special Design L309. 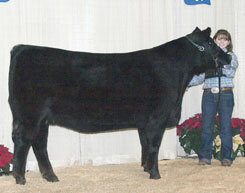 She also won junior calf champion. Freys KJF Delia M90-R04 won reserve senior heifer calf champion. 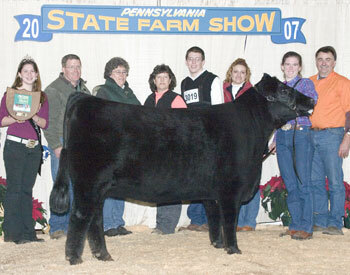 Katrina Frey, Quarryville, Pa., owns the winning heifer. 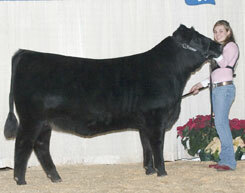 Champion Hill Sunshine 4922 won reserve intermediate champion heifer. 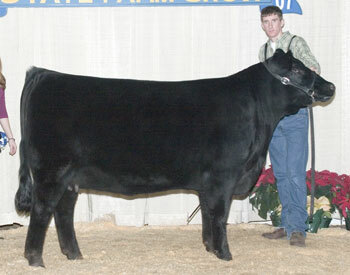 Tyler Landis, Northampton, Pa., owns the winning heifer.